Combat the cold and represent your Chiefs at the same time with this Kansas City Chiefs New Era Womens Black Cable Cuff Pom Knit Hat! 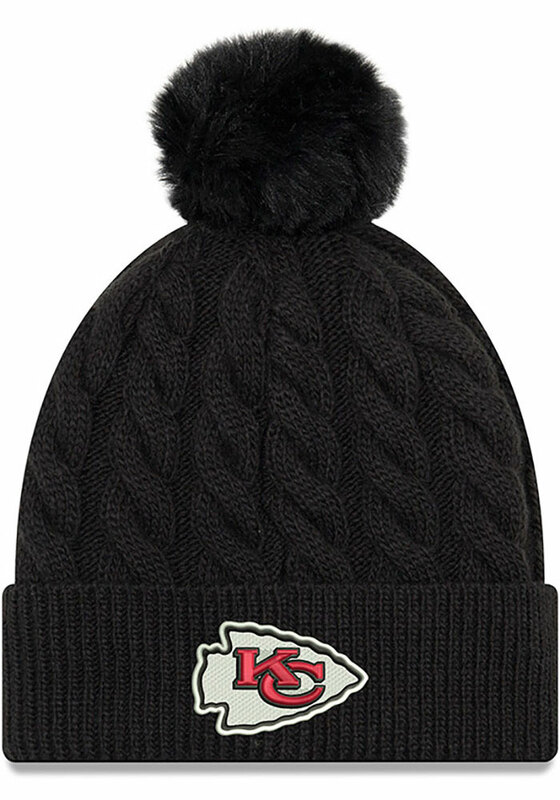 This KC Chiefs Womens Knit Hat features a front team cuff logo and pom on top, so now everyone will know how much you love your Chiefs. Go Chiefs!